The luxury cashmere and accessories retailer were planning to re-platform their entire digital business. We carried out a full UX project in order to inform the brief and also to develop their mobile strategy. 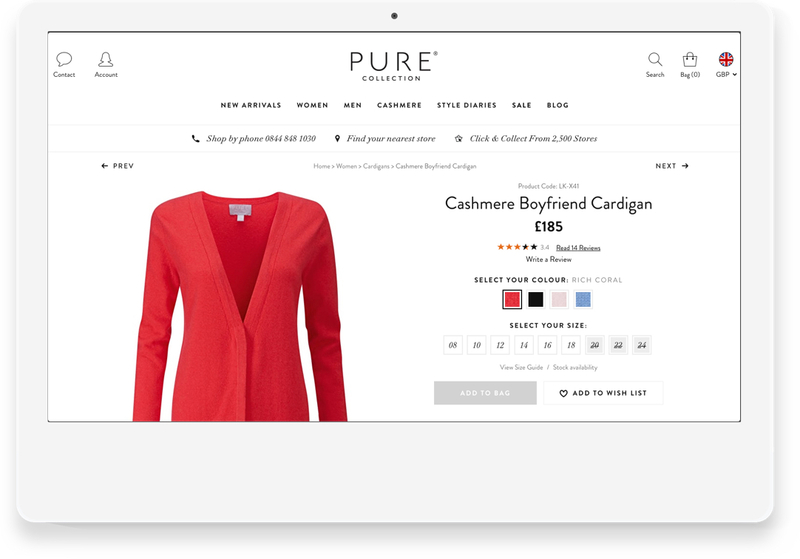 Pure Collection were planning to re platform their website but first they needed understand their customers. How did they interact with the brand online? What was their behaviour on the current site and what should it be for the new site? We began with thorough research, data and guided site usage. We tested our ideas on real and potential customers both remotely and on home visits. We also visited their stores and spoke to staff and customers so see what parallels we could draw. Pure Collection have a very important customer base in the US which displayed different behaviour to UK customers. We used questionnaires and remote narrated testing, again both current customers and potential customers were used. We managed to identify a few main issues that were stopping people’s progression to purchase and they were all centred around making an international customer feel more secure about ordering and returning goods from abroad. 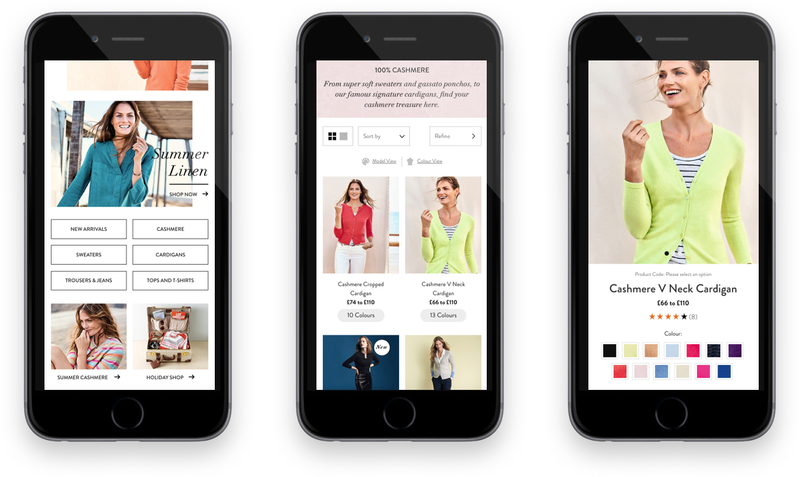 From all of our research we developed very thorough wireframes to explore every permeation of the customer journey, we gave a fresh take on applying the brand with designs and also came up with a strategy specifically for mobile. The website was rolled out on its new platform and was an instant success. 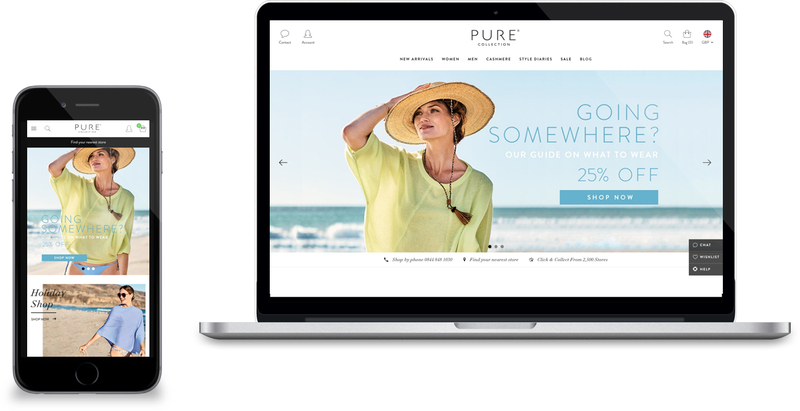 It set Pure Collection on a path that was way ahead of its competitors and assured their position within the market enabling the client to find a perfect balance between brand and conversion.